Google and UC Berkeley are creating a movie from images of the solar eclipse. The images will also be used to study the Sun’s outermost atmosphere. The ‘Eclipse Megamovie Project’ will premiere after the eclipse hits the US on August 21st. 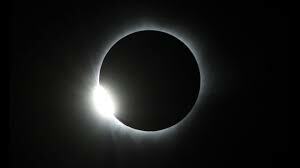 Everyone in North America, parts of South America, Africa and Europe – including the UK – will see at least a partial solar eclipse, where the moon covers only a part of the sun. However, 14 states across the US will experience a total solar eclipse with nearly three minutes of darkness in the middle of the day (around 5pm UK time) over the course of 100 minutes.